MzKity's New MINI Pony ~ "Juno"
So, I haven't been around in quite sometime, but I have good reason, I have been so busy. I have missed you all. I'll update on another post. 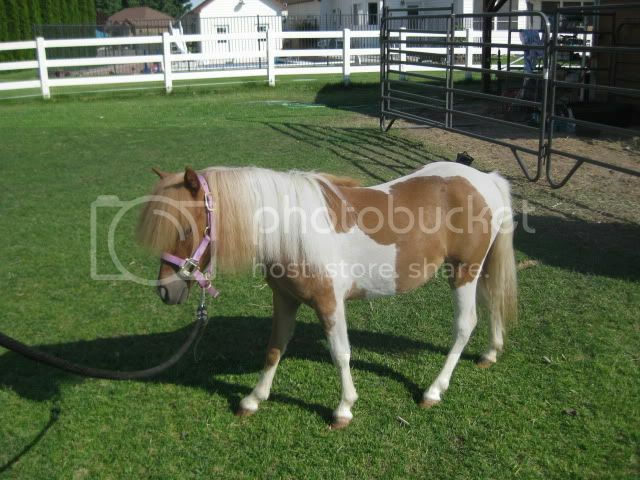 This post is to introduce my new Mini Pony, Sweet Juno, aka: "Juno". 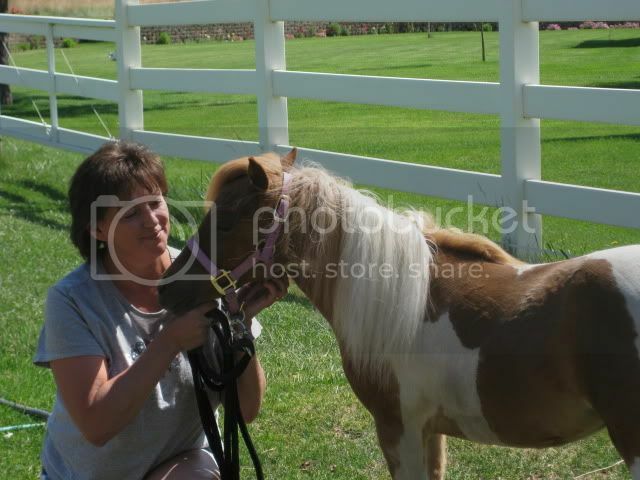 She is a 1 yr. old registered mini pony that I am just head over heels in love with. Just look at that mane! sorry the pictures are so big, I forgot to reduce them. I will next time. Hope you like them. Until next time! Oh, for those of you who are wondering, yes, I still have my full sized mare, Missy, and she is still the love of my life too. She still gets pampered also and I see more of her now that I have Juno! I got Juno so that I could have a "walking buddy" and so that some day she could be a little cart horse. I can't wait. Well, I guess I can, since it will probably cost me another good $1,200 + to get the harness and cart! LMAO Not to mention the training. But, I am training Juno on my own. So far, I am training her to walk, trot, shake hoofies, and we are working on learning to bow. I am very excited to have her. And, I am pleased to say that so far, she is a very fast learner. She is a very sensitive little horse and a very tender hearted one at that. I'm in love with her already. So glad to have her as part of the family. I'm a lucky woman. She is adorable! I'd spoil her if she were mine too. Heey! I've missed you!!! Juno is so precious--you are a lucky lady!!! Well, a full body shave just means that I shaved off all of her LONG winter hair. 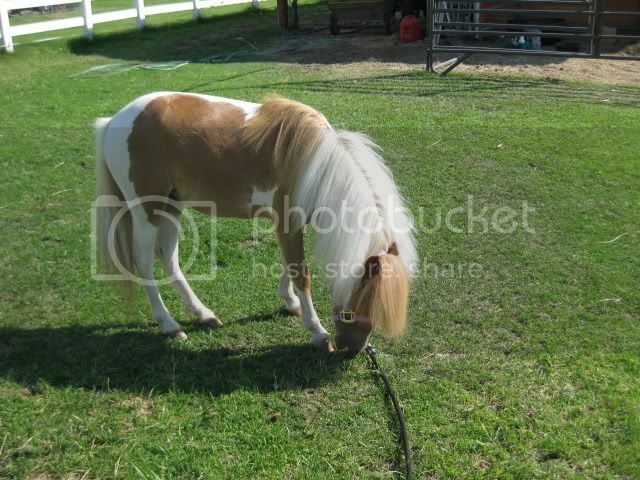 You see, mini horses have a hard time shedding off their Winter hair, so alot of times, owners give them "full body shaves", meaning that you take their hair down to what a normal horses hair would look like. That's all. She's alot cooler now, since our temperatures are at 100 degrees! We drove 4 hours to get her and it was a little cooler where she came from, but not much. And, thank you everyone, for all of the compliments. I just love her to pieces. And, I am glad to be back too, I missed everyone. Awwww, shes such a cutie! Im happy to see you around here again! Awww!! I just want to hug her!